… is this Noah’s dove looking for dry ground ?.. I think we’re in for a wet weekend ! Oh I'm so excited!! 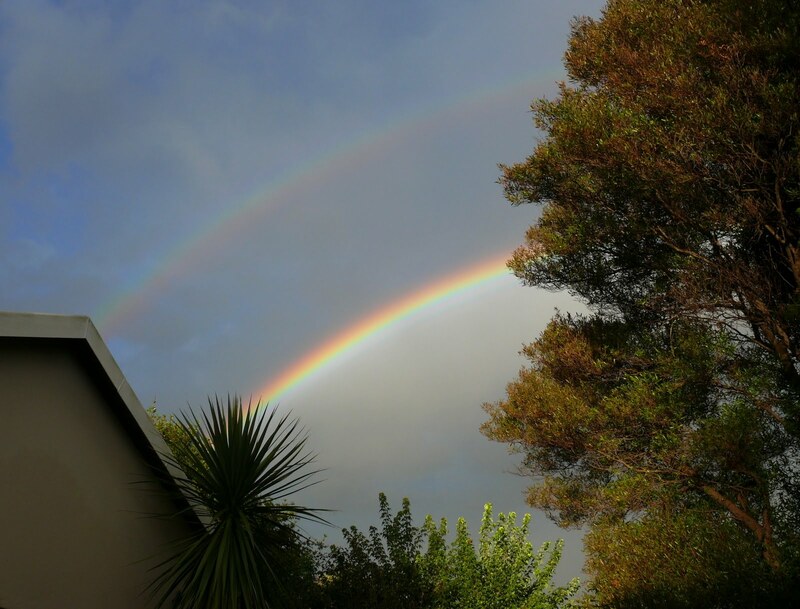 I saw that double rainbow! I also took a photograph of it, but its NOT as nice as yours. Mine looked very dull! That was a special sight for sure! Thanks for sharing and have a lovely week-end! wow wow Avril..that must have been so amazing to see in real life…Rainbows fascinate me – since a child I wondered how the rainbow was made…..such a beautiful part of our magnificent nature.Enjoy your day…going to do a blog post now then start my ironing….1 degree this morning…but a blue sky which means by 2/3pm it will be a lovely warm day. Great! 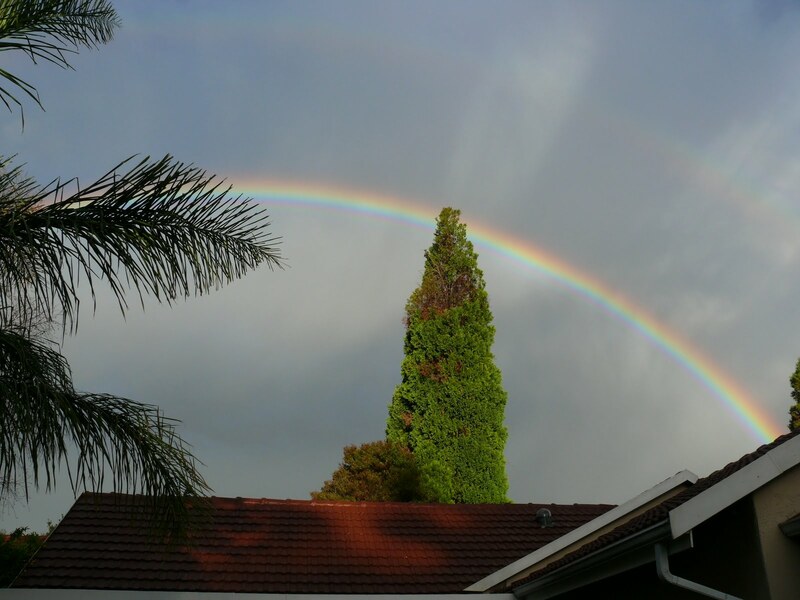 love it how the rainbow divides the sky! 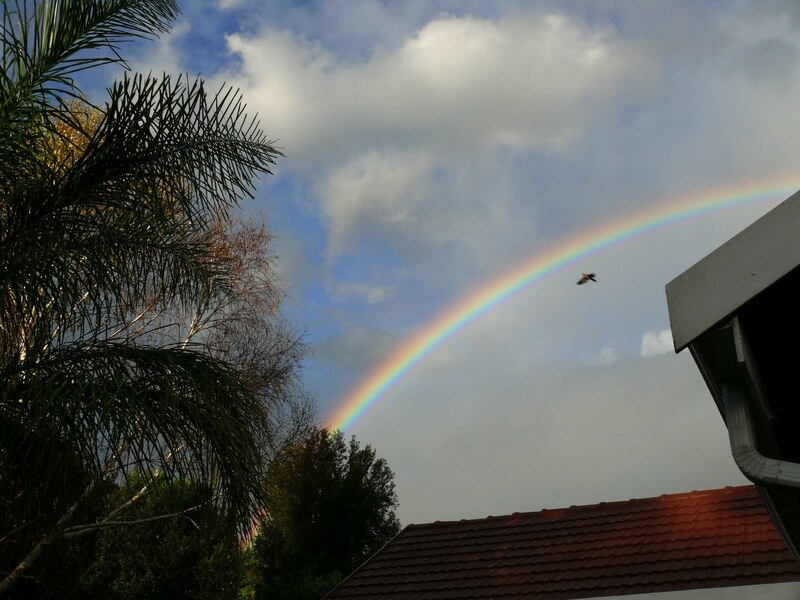 Great pictures of the rainbow, promising good fortune for those that view it.